IMTA is excited to announce that the Benjamin Krause has been named the 2018 MTNA Distinguished Composer of the Year! 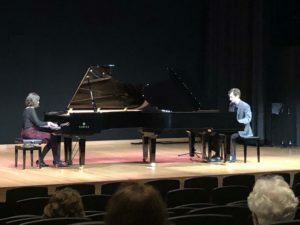 Krause was the 2018 MTNA/IMTA Commissioned Composer whose piece, Taxonimies of Pulse, a work for two pianos, was premiered at the 2018 State Conference at Sweetwater Sound in Fort Wayne. This award is conferred upon the composer of the most significant composition from among all works commissioned by the MTNA state affiliates. This year there were 28 submissions. 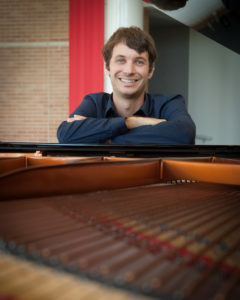 Dr. Michael-Thomas Foumai, Associate Professor of Composition & Music Theory Bethune-Cookman University. Posted in MTNA/IMTA Composer Commissioning.